This counter height bar stool makes a sophisticated addition to formal kitchenettes, bar rooms or dining areas. A sleek and modern piece with a contemporary style, this tall dining stool is a representation of the new modern change that dining rooms are taking. A popular piece, especially in compact rooms, this elegant counter stool has a transitional feel that can create a chic new look inside the room that it's placed. 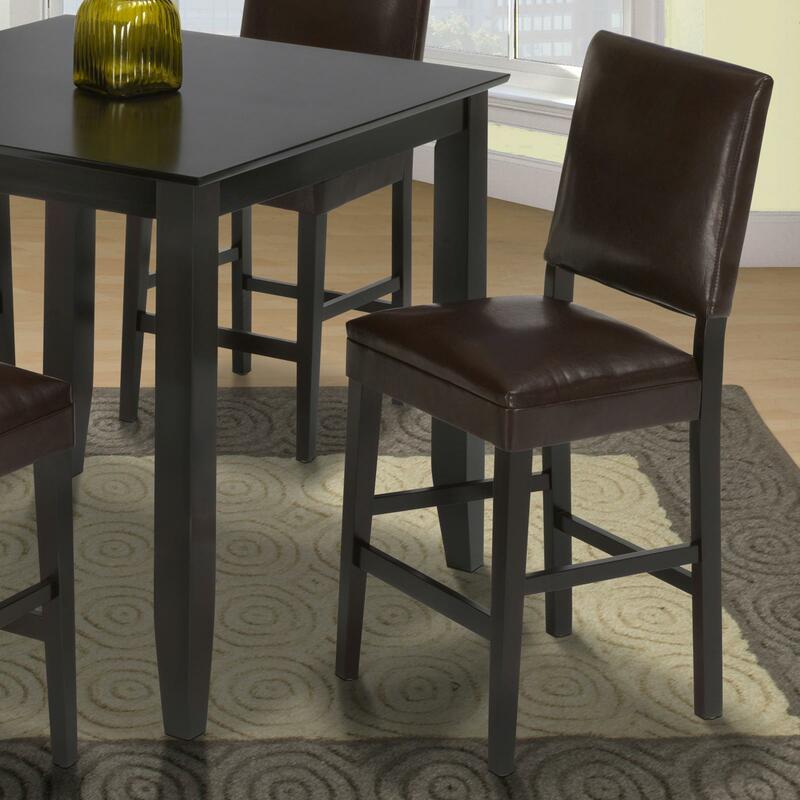 Featuring smooth finished wood and soft plush upholstery, this sleek and scrumptious bar stool has an appeasing chocolate coloring. This counter height side chair is also available in a standard kitchen height and can be purchased in coordinating counter height dining room sets as well as coordinating standard kitchen height sets. 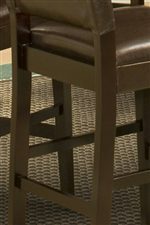 The Style 19 Chocolate Counter Height Upholstered Side Chair by New Classic from Boulevard Home Furnishings. We proudly serve the St. George, Cedar City, Hurricane, Utah, Mesquite, Nevada area. Product availability may vary. Contact us for the most current availability on this product. 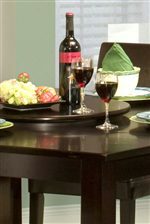 This transitional collection of counter height tables and chairs features a wide array of dining room sets designed to suit a multitude of house-hold needs. Telling a story of tradition, met with a contemporary influence and antique style, each piece in this set has been carefully crafted to encompass a look that features multiple design styles. While all wood chairs create an antique trend, upholstered pieces provide opulence and stream-line edges accented with a contemporary approach. With an assortment of pieces that all coordinate together, this collection features several design styles for home owners to select from. The Style 19 collection is a great option if you are looking for Casual furniture in the St. George, Cedar City, Hurricane, Utah, Mesquite, Nevada area.